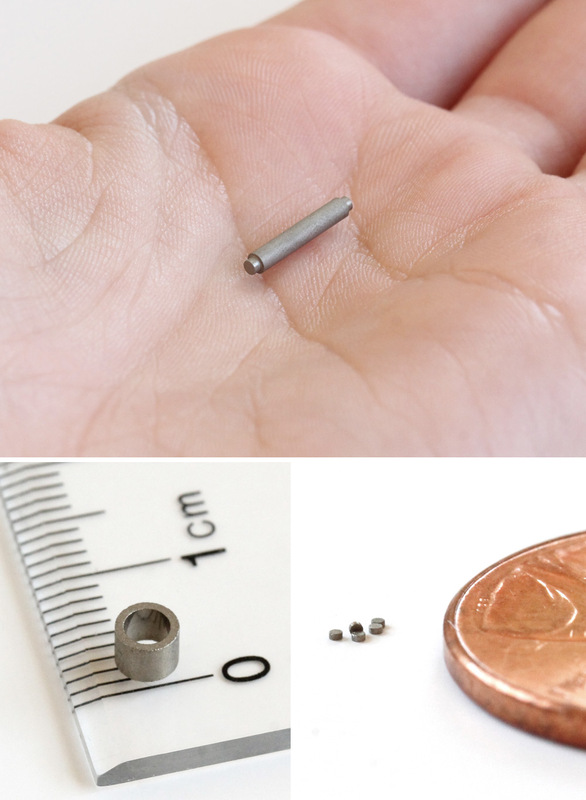 Miniature magnets are critical components of devices and equipment such as microelectromechanical systems (MEMS). When it comes to these applications, Electron Energy Corporation provides the same, high-performance products our clients expect. Our high-quality Samarium Cobalt and Neodymium magnets are scaled down to meet exact specifications. A Microelectromechanical system (MEMS) is a term for the technology found in very small or microscopic devices such as actuators, motors, sensors, and gyroscopes. The moving parts of MEMS are very small, ranging in size from 0.001 to 0.1 mm in size. EEC’s miniature Samarium Cobalt and Neodymium magnets are often used in these systems due to their high stability, long range, wireless performance, and reasonable costs. Our miniature magnets are used every day in a variety of industries including aerospace, medical, telecommunications, and automotive.